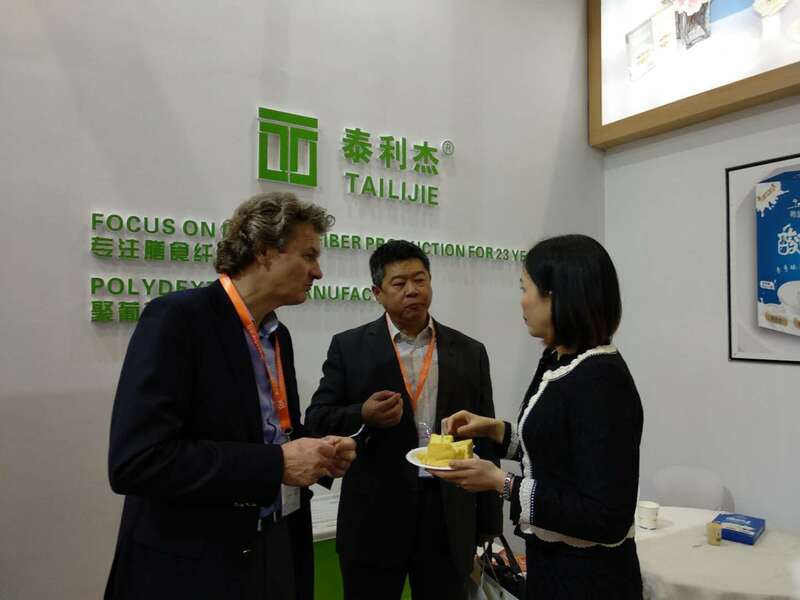 Market at TradeHolding.com - Natural Food Ingredients sweeteners Dietary fiber polydextrose, Product by Henan Tailijie Biotech Co., Ltd.
Polydextrose is an easy-to-use dietary fibre that imparts little to off flavour. It provides the mouthfeel and texture of sugar, making it an ideal alternative in products that offer reduced sugar and calories. 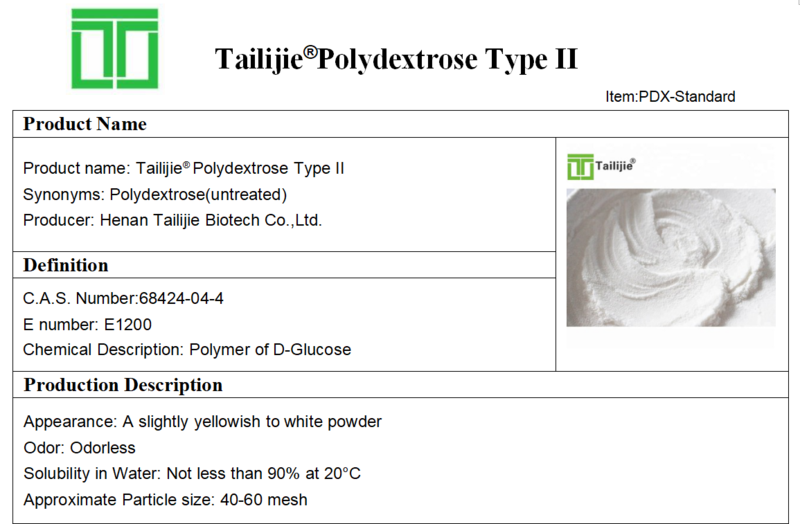 Polydextrose is low calorie and provides process and acid stability. 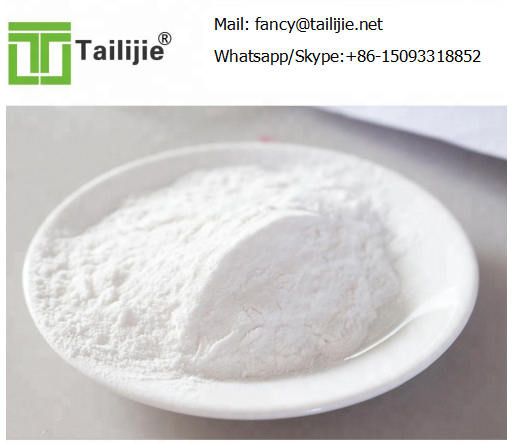 Polydextrose has excellent digestive tolerance and helps to promote a lower rise in post-meal blood glucose when it replaces sugars in foods and beverages, it also functions as a stabilizer, bulking agent and to help maintain the ideal moisture in a food. Polydextrose has been used as a food ingredient since the 1960's.